Whether you are looking for a pistol for affordable training or simply the excitement of shooting, the P22 is the pistol for you. 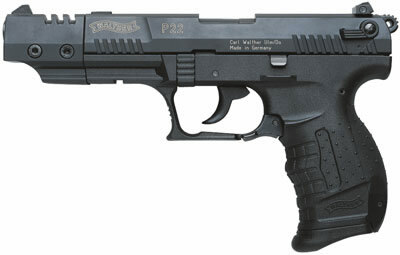 The Walther P22 is fascinating in its compact size, while still maintaining all of the features of a full-size pistol. Constructed using a modular manufacturing concept, the P22 offers several different equipment configurations. The barrel can be changed out or a red dot sight can be mounted--almost instantly.